Home / Uncategorized / Accuquilt Giveaway! It is time for the Accuquilt giveaway! 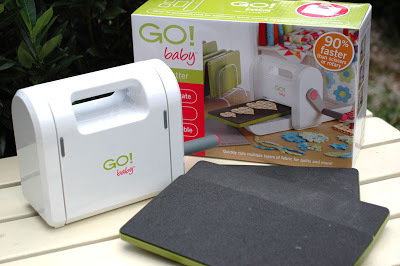 The prize is an Accuquilt GO Baby Fabric Cutter, with three dies of your choice! 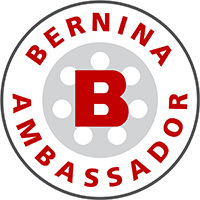 To participate, become a follower of my blog, if you aren’t already. Then leave a comment on this post (just one) telling me which three dies you would choose to go with your machine should you be lucky enough to win. The deadline to enter is this Sunday, August 7th, at midnight. I’ll choose a winner using the random number generator on Monday. Remember to leave me a way to contact you should you win! Thank you for a great giveaway. I would love the Alpha Baby, 5" squares and Pumpkins.. I am a follower! I would love the Funky Flowers, Hexagons and Circles. Thanks for the chance to win! I'm a follower!! I really like the Drunkard's Path, Fall Medley, and Holiday Medley. Thanks for the chance to win! I am a follower of your blog. My choices for dies would be: 2 1/2" strip, 5" square and 6 1/2" tumbler. Thank you! I became a follower! If I had a Go cutter I would start with the 3 1/2" tumbler, the 5" square, and the apple core die! I'm a follower! I'd chose the Pumpkins, Go Birds and the Fall Medley for my dies. Wow~what a great giveaway! This would be great…I'd love the circles, drunkard path, and 4" hst. Btw! My pillow arrived today!! I'll send you an email and show you how lovely it looks! It's BEEEEE-U-TI-FUL! I'm a follower already! the 3 dies I would choose are the hearts, rose of sharon by sharon pederson, and the 5" strip cutter die! Wow, narrowing it down to three is tough! I would love all the cute whimsical dies like Birds, Sleigh & Snowflakes and Daisy flowers, too many decisions 🙂 Thanks for a chance to win! I know I've cursed your name on many occasions, but I'm willing to let it all be water under the bridge if you come through for me on this one. I have been a follower for awhile. I would choose the value set, circles, and some kind of flower. I would love to have the 5" square, the 2 1/2" strip and a half square triangle dies. I would love to win this little cutie. The dies I would enjoy having are the Go Rag flower and circles, dresden plate and the drunkards path. That would make a lovely start. Well, I'm new at quilting so just to keep it simple, I'd like the 3 different square dies. They should keep me busy. Thanks for the great give away. I would love the studio flower nested, the 2 1/2 strip, and the five inch square. Sounds so fun! Great giveaway, thanks! I think I'd choose the tumbler, the 2.5 inch strip cutter, and the 3" half square triangles. I think. Tough choice! I'm a follower of your blog and the dies I'd pick are 2 1/2 strip, the value die and the go round flower applique one. I am already a follower! I would be so happy to win and would love the hexagons, tumblers and apple cores dies! Thanks so much! If I won a Go! Baby, I would love to have– Holiday Medley, Critters and Half Square 4" Triangle. oh, it's sooo difficult to be lucky here! But I'll keep trying! I'm your follower and if I was really really lucky I'd choose diamonds, parallelograms, and quarter square triangle finished. Thanks for the chance! Is this open worldwide? I'd love to win, never tried anything like that before! I'd go for Rob Peter to Pay Paul, Birds and one of the Stars. Rag square and tumbler (I think!). Thanks for the great giveaway Amanda! 1) GO! Tumbler 3 & 1/2"
Fantastic giveaway Amanda. Thank you so much for the opportunity. If I were to be lucky enough to win, I would choose the Go! Dresden Plates, Go! Circles 2",3",5", and the Go! Rob Peter to Pay Paul. I am already a follower of your blog via email subscription as well. I just hit the follow button but have had your blog on my google reader for updates forever. I've always wanted to try an AccuQuilt and the dies I'd choose are the 2.5" strips, the 3" half square finished triangles, and the 4.5" strips. Thanks for an awesome give away. Good morning! I've been a follower of the blog for quite a while, and really enjoy your sharing your creativity… and, what a lovely opportunity you are offering here… I think my choices would be the 2.5" strip, the 4" quarter triangle, and the hexagon set… thank you! I am already a follower. So many dies to choose from but I really like Birds, Sleigh & Snowflakes, and Daisy flower dies. I think I'd go for the 2.5" strip, 4" HST and hexagon dies. I'd pick Apple Core, Dresden Plate and Drunkard's Path. Thanks, Amanda! I'm already a follower! I would pick the 5 1/4 Rag Square, Apple Core, and Stems and leaves. Thanks for the opportunity. Hard to pick just 3 dies! I'd "go" with Quarter Square 4", Star Medley 5 point, and Rag Square 5 1/4". Thanks so much! I would pick the Classic, Holiday and Borders. Thanks Amanda! I am a follower… I want a Go! Baby so badly… I have been entering Go! Baby giveaways almost daily recently! Three Dies: Drunkards Path, A Hexie die, and the large rag quilt square die. I have been reading your blog for a while but now I am a follower. I keep thinking 1 day I will win one of these babies. I would love the tumbler, apple core and I think a half square triangle. I'm a follower. I think I'd go for the Funky Flower, 3" HST and hexagon dies. Thanks for a chance to win! I'm a follower of your blog.The dies I'd like are 2 1/2 strip, the tumbler die 5" and the Rag square. HST die, tumber and daisy. I'm already a follower – thx for the chance here. I'm a follower of your blog. 🙂 If I had a choice, I'd choose the hexagons, 2.5" strips, and the Funky Flowers. Thanks! What a marvelous giveaway! I am a follower. I think I would choose, tumbler, drunkards path and hexigons. Thanks for the chance at your giveaway. I'm a follower and I'd love a Go! I'd choose the 2", 2.5", and 3.5" strips. I am a follower! I like Alpha Baby, drunkard's path, and fall medley. Thanks for the opportunity to win! Have fun with the giveaway! Three dies???? Tumbler, Funky Flowers, and Hexies… Thanks! I'm already a follower of your blog. I would choose the hearts, circles and the diamonds. Thank you so much for the giveaway! I am a follower! Love this machine! I would pick either the hexagons or the bird applique. Thank you for the chance to win this! I am already a follower! This is really exciting. Thanks so much. I would pick: Alpha Baby, Funky Flowers, & Half Square-4" Finished Triangle. I'm a follower. I'd want the hexagons, circles, and tumblers. I'm a follower! I'd choose Circles, tumbler, and drunkard’s path dies! I would choose the 2.5 inch strips, drunkards path, and rose of sharon! I follow your blog! I would LOVE LOVE LOVE to win the Baby GO! and the tumbler, hexagon and 2 1/2" strip dies! Thanks and I'm crossing my fingers oh so tight! Oh how exciting.. I would love so much to win the Rose of Sharon, The tumbler, and the 1/2 square triangle 4" square… Yay!! I am a follwer! I would LOVE LOVE LOVE to win the Baby GO! I love all the dies but if I need to choose, can I have the Circles, hexagon and 2 1/2" strip dies? Thanks. I would love to win a Go! I would pick the Birds, Daisy and stems/leaves. Thank you for the giveaway. Thanks for the giveaway! I am a follower, I would choose, circles, hexagons, and drunkard's path! hello! you go, i follow. i would love to try the tumbler, drunkard's path and circle flower. Such a great giveaway! Glad that I'm already a follower since I hate to miss out on such a wonderful opportunity. I'd choose Rose of Sharon, circles and funky flowers. Here's to crossing my fingers and toes!! I am a follower. I would choose the 3 1/2" square, the 2 1/2" strip cutter and have tons of fun with the bird die. Thanks for the chance to win the GO! Baby Fabric Cutter from Accuquilt! I am a follower. Thank you for this great giveaway. I would use the circles, the hexagons, and the 5 inch square. What a great opportunity. Long time follower, hopefully a first time winner! The three dies I would choose are the 2 1/2" strip, 5" square, and 6 1/2" tumbler. i'm a follower! i LOVE your swiss chocolate fabric. one day, i will have some. 😀 i would definitely go with the apple core – it looks like so much fun to try! and i think i would pick holiday medley and round flower for the other two. 😀 thanks for the giveaway! I'm a follower. 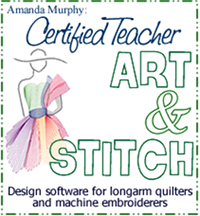 Thank you Accuquilt for this opportunity. I would choose the circles, the hexagons and the designer series. I'm already a happy follower (and loving Swiss Chocolate). The Baby is on my list of "Must haves". And if I'm fortunate enough to win, I sure would like to try the Rose of Sharon, Fall Medley and Birds. Thanks SO much! I have been a follower for a while and I love your blog! I love the Rose of Sharon, Alphabet and Circles for the Go Baby. I'm already a follower, enjoy your blog! Would be SO thrilled to win the Go Baby, I've been drooling over them. Love to try the 5" sq, the diamonds and Fall medley. I'm a follower and loving that I am. When I open my inbox and if I see a post from you, I'm right on it. If I won I would pick the equilateral triangles, the round flowers and the funky flowers. What fun to cut these without all the tedious work. thanks for the chance to win this Go, Baby and Dies. I have been following your blog via Google Reader. What a great giveaway and thank you for the opporutnity to win the Go Baby. If I win, I would like the circles, equilateral triangles and the drunkard's path dies. I'm already a follower and appreciate the chance to win. I'd choose the hexagons, the Drunkard's Path, and the circles set. Excited here. Of course I want them all but particularly half-square 3" finished triangle, Rose of Sharon and the Birds. I think I got signed up to follow… but still not sure… all this blog stuff is still new to me. send me Diamond in the Rough; Alex Anderson & Baby MIx and match 8" at snowrvn@gmail.com if I win!! Gosh, very hard to choose! Probably a circle, 2-1/4" strips and a tumbler. I'm a follower! I would chose the Drunkards Path, 2 1/2" strip and Rose of Sharon. I've wanted one of these forever, keeping my fingers crossed! i am a follower through RSS and I would pick tumbler, 5 inch square, and one of the triangles! I am a follower. I would definitely choose the hexagon die. It would make the quilt I'm working on so much easier to finish. Thanks for the great giveaway. Already a follower. I would choose the circles, the 3-1/2" tumbler, and the dresden dies. I am a follower. Would love the Rose of Sharon, equilateral triangles, and sparkle diamonds dies if I won. Thanks for the giveaway. I follow:-) And I love the Rose of Sharon, Funky Flowers and tumbler! I follow… tumbler, apple core, rag square 5 1/4!!! I am a follower. The dies I would choose are Fall Medley, Hexagon and Go! Birds. Thank you. What a great giveaway! I am a follower in my Google Reader. I would love to have the round flower, holiday accessories and holiday medley. Guess you can say I would like to do some holiday projects. Thanks. I follow your blog and absolutely love it. I would love funky flowers, squares, and alphabet. I am already a follower. The 3 dies I would like to try are the Heaxagon, Dresden & Strip Cut 3 1/2. If I was lucky enough to win, I'd like to have the 4" half square triangles, the 2.5" strips and the tumbler. Thanks for the chance! Id like the 4" half square triangles, fall medley and circles. I would love to have the sleigh & snowflakes,or the fall leaves set! I would really like to win one of these little babies! The first 3 dies I would want would be the 3.5 drunkards path the tumbler and apple cores. Thank you for taking the time to host this giveaway for all of us. I am a follower of your blog through Google Reader and I just subscribed to your email notifications. Thank you for this wonderful giveaway. My favorite dies are Rose of Sharon, Funky flowers and the Daisy. I am a follower! I would love the 2.5 inch strips, the tumblers, and the holiday medley! I'd love to have the circles, the hexagons and drunkard's path dies. Those three things are such a pain to cut by hand! You are going to make someone very happy! I'm a GFC follower and an e-mail subscriber! I would love the tumblers, hexagons, and apple core dies. Thanks for the chance to win!! I will be thrill if I am a winner!! I am also a very bad cutter so i might just go with plain 4'square,2.5strip and triangle. Now I am your follower!! love the fabric line you have created! I am a follower. I think I would choose the value pack, the 5" square, and the Drunkard's Path dies. Thank you for a chance to win the Accuquilt Baby GO! I'm a follower! I would love to get the hexagon, tumbler, and one of the triangle dies. Thanks for the giveaway. I am now a follower! I would love to win this, and would probably pick the 2 14 strip die, the 5 in square die, and the half square 3 in. finished triange die. SO many choices!
. It's hard to chose, but I would go for 2 1/2" strip, hexagons and 5" squares. I am a follower! Would love the hexagons, drunkards path and one of the triangles! I think I would love the pumpkins, birds and probably the snowmen accessories…but hopefully you can change your mind if you win. =) LOL…I am fickle sometimes. Thanks for a chance to win. Oh. Wow! What a great giveaway! I've been a follower for a while now, and would love to win this fun new toy, with the circles, drunkard's path, and feathers dies. If I won I would like the 2", 2 1/2" and 3" in strip cutters. I love to work with strips in quilts! I'm a GFC follower – many thanks for the awesome giveaway! I'd have to say 6.5" strip, apple core, and tumbler. I have been a follower for some time and love your creativity. I would probably like drunken path, flowers, and diamonds for the die choice. Thanks for a great giveaway. I am already a follower. I would pick: Birds, Drunkards Path and Funky Flower. Thanks for the wonderful giveaway. Drunkards Path – finished size 3 1/2"
4½ " square, 2½ " triangles & 2½" square please. I would get Funky Flowers, Feathers and Critters! Hello, Linda here. I was just checking in to your wonderful site. I am in love with the new Veranda Collection. The Quarter Squares 4” Triangles and the 2 ½” Stripper Cutter. I have been a follower. I would love to win the Drunkard's Path, Funky Flowers and triangles. Thanks so much! Thanks for a lovely giveaway. I follow you. As a follower, I would love to participate in the drawing. I'd love any of the holiday, applique, or half-square triangle dies. I'm a new follower and I'm loving it. My fav 3 dies for (my friend's baby accuquilt go) are the 3 inch circle, the 5 inch square and the 4 Inch half square triangle. I would like the 5" square, 2 1/2" strips and hexagon. I would like the stars , fun flowers and the round Flowers. Lovely work in your blog. Kathie says, I would love to have the blossom die so I could make the blossom quilt in different sizes. I bought the pattern when you visited stone House Quilt Guild in Manassas, VA. You now have lots of fans here. Drunkard's Path, Hexagon & Strip Cutter are the dies I would pick. I could have so much fun with one of these. Thanks for the chance to win. I'd choose Alpha Baby, Critters and Birdies. OOOhh, that's one contest I'd love to win. I'd chooses the 3 1/2 " Drunkard's Path, Critters, and the Quarter Square-4" Finished Triangle (8 triangles). thanks for the chance to win. I follow your blog. Thanks for a chance. For dies I would pick 2 1/2" strip, hexagon and the 4" HST. I am a follower. I am a follower already, and if I was to have a Go, I would probably want the hex, the tumbler and a strip die. What fun! Thanks for the chance, Im still trying! Hmmm, I think Id choose the 2.5 strips, the Rose of Sharon and drunkards path. How awesome would that be? I'd pick the 4" HST, the tumbler and a circle die. Birds, Funky flowers and hex! already a follower, would love the drunkard's path, 4" square, and basic set..love Amanda's patterns and fabrics..Veranda is just gorgeous! Thanks for the great giveaway. I would love Rose of Sharon, Funky Flowers, and Drunkards path. I am a follower and would love the go baby. The dies I want are squares, hst and a hexagon. I'm a follower! I would choose Hearts, Stars and Circles. Thanks so much for shaing! I'm a follower & would love the 5" square, circles in 2", 3" & 5", & the rectangle 3.5" x 6.5" if I'm the lucky winner! Thanks for a fab giveaway. I'm a follower who would love one of these little gadgets! I would choose circles, alphabet, and birds. I would choose the hexagon die, the parallelogram, and the drunkard's path. It would be SO convenient to have a nifty machine like the GO BABY to do all that cutting for me! Especially as a newbie to quilting. I'm a follower already. I would love to have the Fun Flower, the hearts and the 2 1/2 inch strip cutter (2 strips). I have two quilts ready and waiting for the finishing touches. That Go! Baby would really help. I could use Alpha Baby and the Stars on Baby Parker's new quilt since he arrived today. And I need the circles to help me finish the one for my son and future daughter in law. I am a follower of your blog. The dies I would choose would be the circles the hexagons and the rose of Sharon. I'm a follower…which is how I heard about this great giveaway. I'd choose the 2.5 inch strip, the 5 inch square, and the set of 3 circles. I'm a follower! 🙂 I think I'd like the 2.5 inch strip and then after that I would probably choose a couple of their super cuter applique dies. Thanks for the chance, Amanda! I would choose, circles, hexagons, and drunkard's path! I'm already a follower – Crossing everything I can think of to up my chances of winning…oh how I would LOVE this (wouldn't we all which is why we're entering, but still…). So many great dies, but I think I'd stick with simple and go with a circle, square, and either a diamond or tumbler. Decisions, decisions. Thanks for the chance! I am a follower – I would choose the circle die, tumbler die and the value die! thanks! Great giveaway! Thanks for the chance to win such a fantastic prize. I'd get the Half Square-4" Finished Triangle, Hexagon-2", 3", 5" and the Square-3 1/2" dies. Oh! My! Gosh! I would so love to win one of these babies!! I would choose the following dies: 2.5" strip cutter, 5" square, and Birds! Thanks so much! OOH, I would like the circles, 2 1/2" strip, 5" square dies. My only hope of having this is winning it so I can hope!!! I have been following you with an email subscription but have now signed up through Friends Connect. Thanks for the giveaway! I have been thinking this might be a way to get more done in the sewing room with a 13 month old! If I were to win (fingers crossed) I would choose Sunbonnet Sue, Fun Flower, and Critters! THANK YOU! Thanks for the great giveaway! I'd choose the apple core,tumbler and hexies if I was lucky enough to win! What a great giveaway! I would choose the 2 1/2" strip, studio circles jumbo, and the 5" square. I'd love to win a Baby Go! I'd pick the Rose of Sharon, chisel, and Alex Anderson's QST die. And I'm a follower. I'm a flower person so Daisy or funky flowers is my choice. I'm a follower of your blog. I would so love a Go Baby. , the triangles, hexagon, circles. Thanks for the opportunity. I am already a follower of your blog. I would choose the hexagon, tumbler and circle dies. Thanks for the fantastic giveaway. I would love the tumbler, hexagons and half-square triangles. Thank you! What a great competition and I am a follower. If I were to win I would just love the Hexagon, the Rag Heart & Star and the Rag Flower & Circle. What an awesome giveaway! I would choose the cycles, hexagons, and fall medley. I have a terrible time cutting circles and love hexagons! The fall medley has such wonderful leaves you can use year round. Thank you for hosting this awesome giveaway! What a great giveaway! I'm a follower! I'm still beginning, so I'm not really sure what I'd need. I think I'd like one of the squares, the 2.5" strips, and one of the half-square triangles (dunno what size!). New follower to your blog – hard to pick 3, but have never done a rag quilt – so they are my pick. 2. GO! Rag Square-5 1/4"
I am a follower. I would like the 5" square, 2 1/2" strip and half-square triangle. Thanks for the giveaway. Thank you so much for the giveaway! I'd choose the circle, hexagon, and tumbler dies. I'm a new follower. Thanks again! I'm a follower! If I win I would get the GO! Hexagon die, the GO! Triangles in Square, and the GO! Parallelogram – because that's such a fun word! GO! Square-5", GO! Strip Cutter-2½" (2 strips), & GO! Rag Square-5¼"
I am thrilled that I found (and joined) your blog! The dies I would love to have are: Go! Triangle-6 1/2", Go! Square-6 1/2", Go! Sparkle-Jumble Tree. Thank you! Thank you very much!!! I'd pick these three because I don't have them and think they'd be great dies to use. I am a follower and would choose the Circles, hexagons and birds. Great giveaway! I'd get the Studio Butterfly #1, Studio Flower-Funky #3, and Rose of Sharon! the nesting daisies, holiday medley, and the rose of sharon. i am a follower now. i would pick the value die, the tumbler and circles. thanks for the chance. this is such a fabulous giveaway! i've played around with the Baby Go! during a class, and i'd love to have my own, but i haven't been able to justify the expense. winning one would be AMAZING! I would choose the 2 1/2" strip cutter, 3 1/2" Tumblers and the 6 1/2" Apple Core. Thanks for the awesome giveaway! I love what you did with the Orange fabric combination. THe quilt look magnificient. I love your blog and wonder why I didn't find it before :-). But I became a follower this week. There are so many fantastic dies. 3 I love are the birds, holiday accessories and diamonds. Thanks for having this give away.